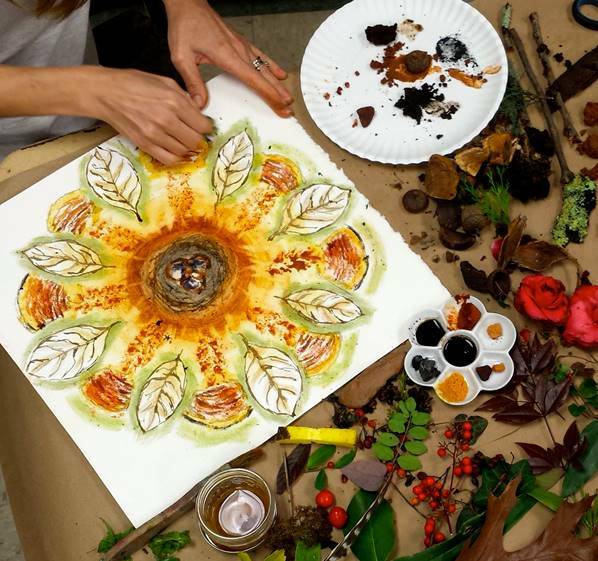 Discover the color all around you in our Earth Color Workshop with visiting artist Robin Whitfield. Robin will share her Mississippi-based mineral and plant materials and also guide a discovery of color in our area. Colors may come from mud, leaves, berries, flower petals, mushrooms, or mineral deposits. There will be self-guided exploration with squishing, smooshing, grinding, drawing, painting, and rubbing colors on watercolor paper.